Calibre is a simple and comprehensive e-books manager application that makes it easy to organize your library. 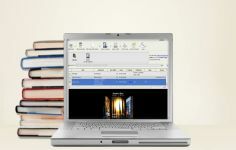 Calibre is an intuitive and comprehensive e-books manager software that simplifies the organization of library information and integrates a fast and efficient converter. It allows you to view your e-books, sort them using different criteria, convert them - individually or in batch, edit their metadata and retrieve information from the Internet, having also full support for the management of the table of contents, bookmarks, CSS and more. Additionally, the application offers a complete module for synchronizing your library with some e-books readers such as Sony PRS, Cybook Gen Booken, Amazon Kindle, iPhone, etc. The application now has an RSS feed aggregator to follow the news and convert to e-book format - EPUB, LRF, HTML, LIT, MOBI, PRC, AZQ, AZW1, TPZ, TXT, RTF, PDF, SNB, CBZ, CBR, CBC, ZIP, RAR. Calibre supports the majority of e-book formats. You can freely access your collection of e-books online by using the EWS, having the possibility to send books and download others. The compatibility of the software with smartphones optimizes downloading books for mobile devices. Using keyboard shortcuts, you can use Calibre without ever touching the mouse. Just press the D key to send the selected books to the device you have connected to your computer, or press C to convert them to other formats. To read it right on your computer, just press V.
Content server: Implement the "Copy to library" function. To use it click the three dots in the top right corner of a book's page and choose "Copy to library"
Content server: Fix editing metadata that affects multiple books causing all the metadata for all the books to become the same. Open With: Fix using .bat files as the program not working. Fix editing of dates not working is the date format is set to iso.